POCP’s Research Reports provide strategic insight and analysis on key healthcare topics and trends. 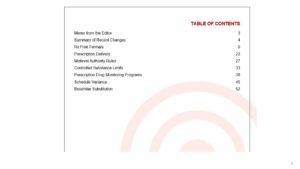 Compiled by our experienced analysts and practice leads, all reports are available for download in PDF format. If you need a more customized summary of a health IT topic or industry trend, contact us. This report outlines the value proposition of Real-Time Pharmacy Benefit Check from the payer perspective. Our research included interviews with and information from payer executives representing 6 of the top 10 pharmacy benefit managers, which cover 95% of commercial covered lives. In addition to a summary of our findings, we included suggestions on steps stakeholders can take to advance RTPBC. 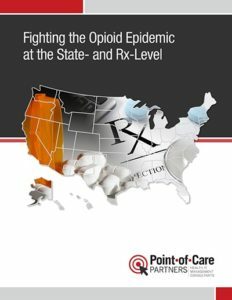 This report explains in detail how states are using legislative and regulatory policy levers and healthcare technology to fight back against abuse, fraud and diversion that can emanate from the opioid prescribing process. This research brief details enacted ePrescribing regulations for all 50 states and Washington, DC. Updated within the most recent 3 months, this one-time snapshot provides easy-to-reference data that simplifies regulatory tracking. A subscription-based consulting service that combines access to Point-of-Care Partners regulatory experts with timely analyses of evolving laws and regulations governing electronic prescriptions. A subscription-based consulting service that combines access to Point-of-Care Partners regulatory experts with state and federal electronic prior authorization regulatory intelligence.